Samsung CHG90 Ultra-wide QLED monitor to replace conventional dual monitor setup. 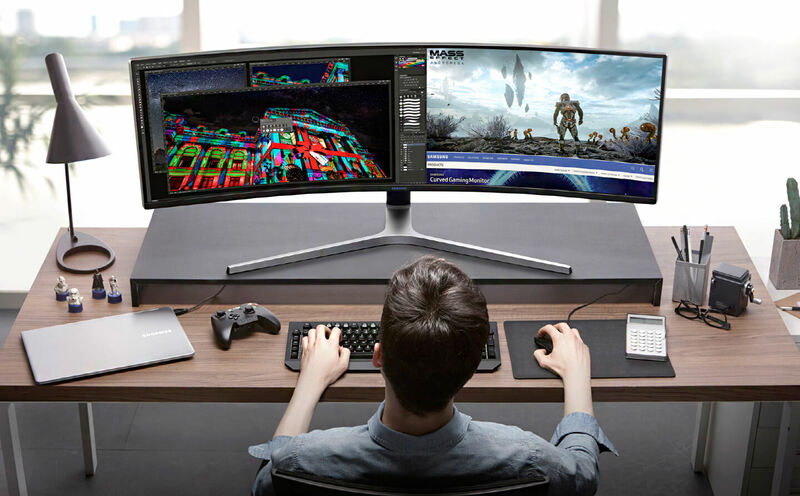 Samsung released a new 49″ gaming monitor. The Samsung CHG90 is an impressive 32:9 curved QLED screen. Quantum dot technology and HDR support provide very realistic color and contrast for an immersive gaming experience. 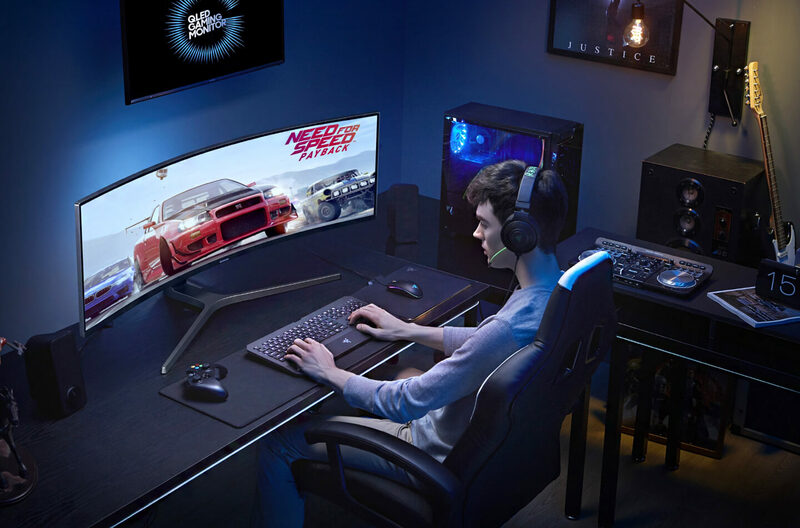 Its 32:9 super ultra-wide aspect ratio, 3840 x 1080 resolution, 1800R curvature and 144Hz refresh rate foster smooth and captivating visuals that not only amplify gamers’ immersion, but make multitasking a breeze. Let’s take a closer look at how the CHG90’s combination of singular specs and unified design is changing the game. The CHG90’s eye-catching design reflects careful consideration of how the human eye works. When viewed at the optimal distance (roughly 40 to 50cm away), the monitor’s 1800R curvature and wide viewing angle align with users’ natural field of view – filling their gaze to its periphery, and greatly enhancing immersion. This panoramic perspective makes viewing movies and videos that much more cinematic, and allows gamers to scan their characters’ surroundings in their entirety, unhindered by the bezels that would block out the center of the screen with a dual-monitor setup. Packed within the CHG90’s immersion-enhancing frame are the latest advancements in imaging technologies, including Quantum dot color and HDR support. The former allows the CHG90 to express approximately one billion unique shades of accurate color (approximately 125% of the sRGB standard), while the latter allows for much brighter brights and darker darks. The CHG90’s wide VA (Vertical Alignment) panel adds additional depth to blacks, and ensures that colors are depicted accurately regardless of the user’s viewing angle. Such impeccable detail and color reproduction not only add new layers of immersion to gaming, but also provide an ideal platform for carrying out tasks such as photo and video editing. The CHG90’s spacious design and powerful performance make it equally suitable for work and play. The intuitive Easy Setting Box screen-division software is especially useful for multitasking, allowing users to, with a simple click, divide their monitor screen into multiple windows of varying sizes by utilizing customizable window configurations. Those who use dual-monitor setups will often connect different devices to each screen to manage them side by side. The CHG90’s Picture-by-Picture (PBP) function supports the simultaneous connection of two external inputs, essentially allowing the monitor to serve as two separate screens for different devices. This functionality makes it possible for users to, for instance, set up two separate workspaces by connecting their monitor to both their DeX Station and their personal computer. 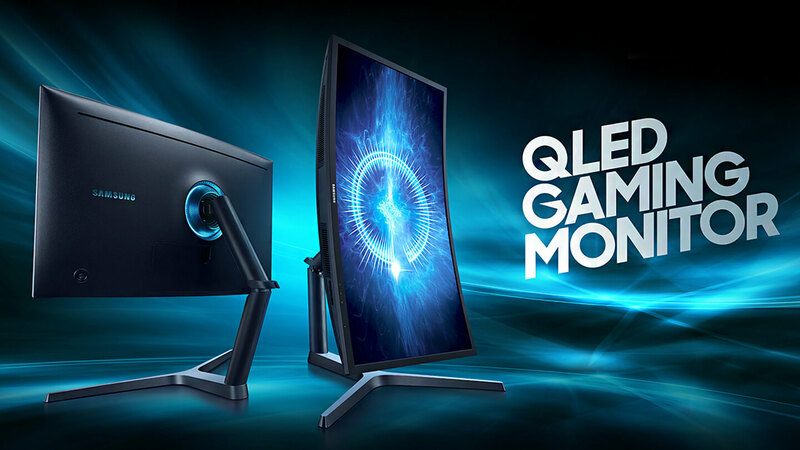 The large QLED gaming monitor connects with a single display cable and a power cord, which means setup is simple, and also makes it easier to maintain a clean and uncluttered desk or workspace. The Samsung CHG90 also features a variety of ports, including two HDMI inputs, a display port and a Mini DisplayPort, that allow users to conveniently connect an array of peripheral devices to the monitor itself, rather than plugging them into their computer. 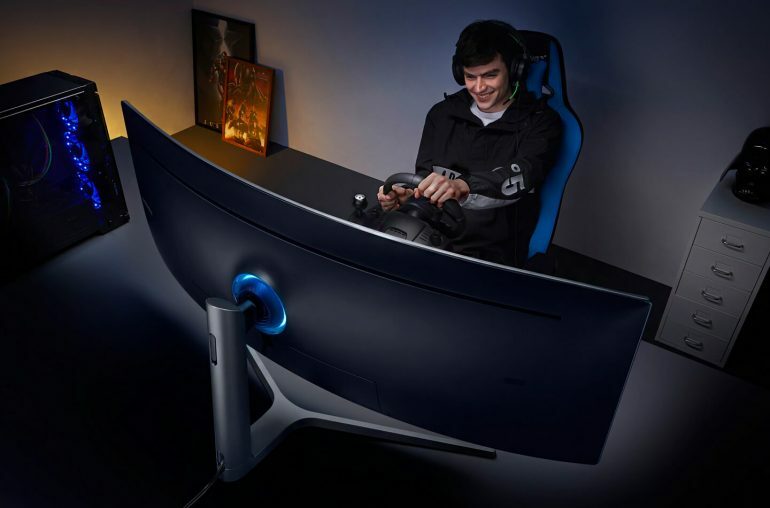 The adjustable-height stand is another convenient feature that tilts and swivels to offer users precision control over their display’s orientation, enhancing comfort during use. Speaking of comfort, because staring at a screen for long periods of time can cause eye fatigue, the CHG90 features a low-reflection coating that reduces such strain. 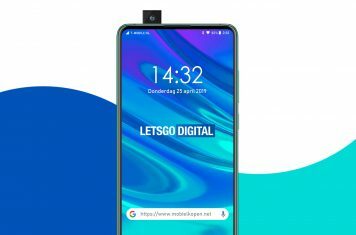 Other features designed to increase viewing comfort include the monitor’s Eye Saver mode, which reduces blue light emission, as well as its Flicker Free setting, which minimizes backlight flickering. 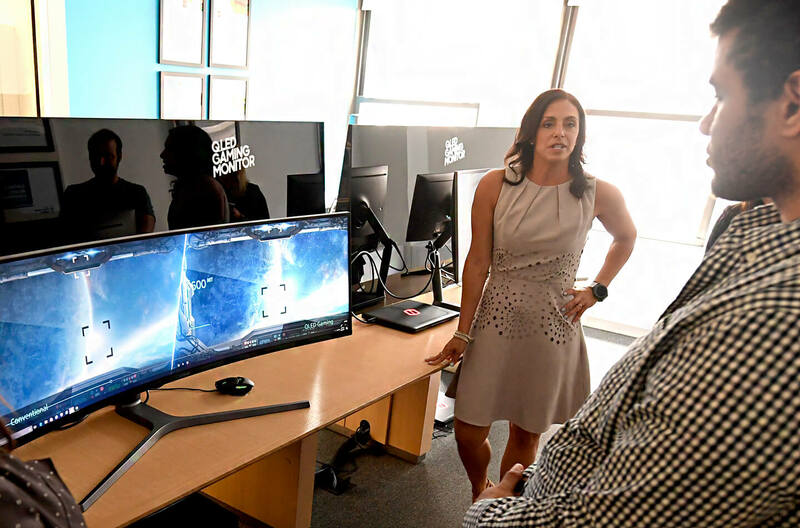 By removing the need for dual-monitor setups, and fostering viewing experiences that make it easy for multitaskers to get more done and for gamers to immerse themselves in the on-screen action, Samsung’s CHG90 signals a future for gaming monitors that’s not only bright, but wide open.